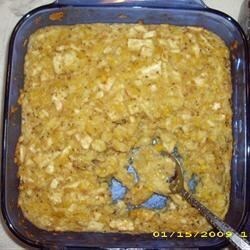 "An easy and creamy corn casserole"
2In a small bowl, combine corn, crackers and egg. Mix and pour into small baking dish. Bake for 30 minutes. Season with salt and pepper to taste.